A fine tasting speciality from South West France. 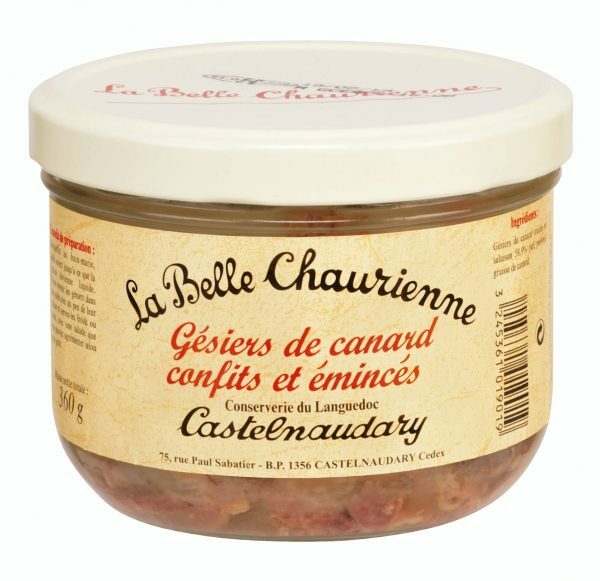 Gesiers de canard confit (duck gizzards confit) are delicious pan fried and served warm with salads or oven roasted potatoes. Storage: Store in a cupboard. Once open store in fridge and consume within 7 days. Dietary Information: Gluten free. Wheat and derivative free. Nut free. Egg free. Lactose free. No artificial additives. 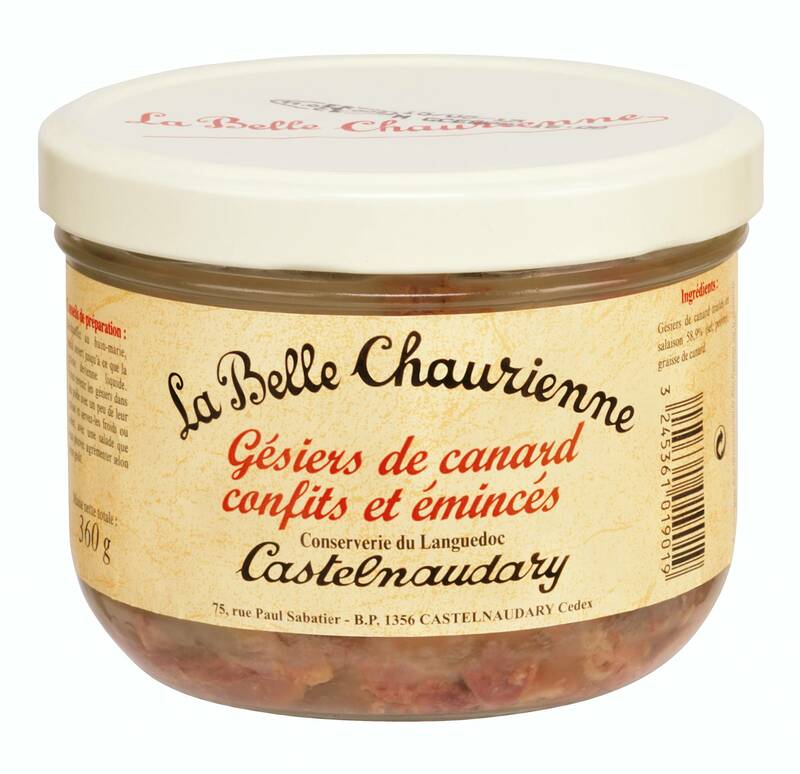 Gesiers de canard, duck fat, salt. 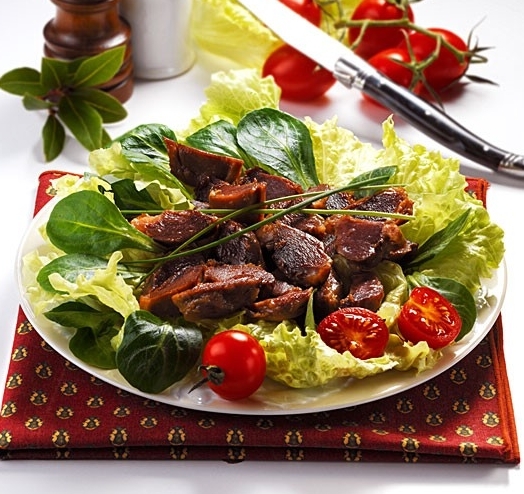 A traditional way to enjoy gesiers de canard confits is to warm them up gently in a frying pan and add to a mixed salad. Also goes very well with oven roasted potatoes. In fact you can use the duck fat in the jar to roast your potatoes!